BusinessWeek: “Li Zuobing is adjusting well to urban life in Chongqing’s Yubei district, where he lives in a massive housing complex built to house former farmers. He enjoys his job as a supervisor in the community service office, his wife says she is delighted to have a kitchen with natural gas (rather than coal), and his daughter has opened a clothing store. It’s a great improvement on their life growing rice and corn on a small plot. “A few years ago, the idea I could ever live this well was unimaginable,” he says, as instructions on living a “civilized life” drone from loudspeakers on the grounds. Such success stories are essential for China’s future. As President Xi Jinping tries to bolster China’s international standing, the most daunting challenge at home is getting urbanization right, a task that falls to Premier Li Keqiang. Li is embarking on one of the most radical reconfigurations of Chinese society since the Mao era. His goal is to cut the rural population of 642 million roughly in half by nudging, urging, and sometimes forcing farmers and their families to settle in China’s cities. Theoretically, this process will create a new, willing workforce to staff the cities’ service industries and factories. The ex-farmers’ incomes will rise, their children will get a better-quality education, and when they grow up they’ll land better jobs than their parents. The multiyear process will increase average income in China, where annual rural incomes of 7,917 yuan ($1,291) are less than one-third the income of city dwellers. “Urbanization will usher in a huge amount of consumption and investment demand, increase job opportunities, create wealth for farmers, and bring benefits to the people,” said Li in his first news conference after being named premier. This grand population shift comes as China’s three-decades-long export and investment-led boom starts to lose steam. It won’t be easy to get the economic payoff China’s leaders are counting on. One obstacle is China’s hukou, or household registration policy, which designates all citizens as officially either rural or urban, depending on what family they are born into and regardless of where they reside. Hukou prevents some 230 million migrant workers who already live in China’s cities from enjoying the health care, education, pensions, and access to lower-cost housing available to those with urban hukou. “None of them enjoy the rights of full urban residents. That makes their consumption ability much lower,” Cai says. Another obstacle: Under the constitution, all rural land is owned collectively, a legacy of when agriculture was produced by people’s communes. That means farmers have no right to rent or directly sell their leased land, allowing them to set up life in the city. via Premier Li Keqiang Wants More Chinese in the Cities – Businessweek. 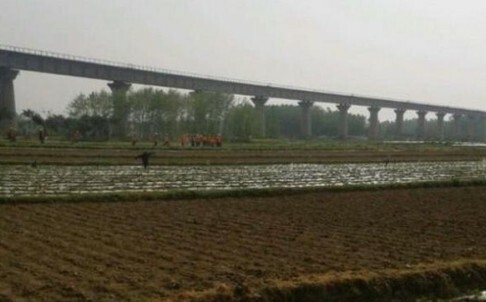 SCMP: “Villagers in central China’s Henan province who were protesting a land grab in Huangchuan county said they were beaten up by hundreds of employees from the China Railway 13th Bureau at the weekend. The villagers were demonstrating against the bureau, which planned to build a new railway line. They said they were “indiscriminately” attacked on Sunday morning by more than 300 uniformed construction workers with metre-long sticks, news portal Dahe.cn reported on Monday. The protesters said the attackers spoke in northeastern Chinese accents and destroyed 30 mobile phones of those who had tried to film the incident. A villager’s car was also smashed up. Police were called in but were “forced to turn back” by the 300 workers, the report said. More than 10 people were injured and two were still in hospital on Monday. The land dispute arose after villagers tried to prevent the bureau from acquiring the land for a new line for the Nanjing-Xian Railway. Villagers said the compensation offered to them was too low. via Henan villagers ‘beaten up by hundreds of rail workers’ over land dispute | South China Morning Post. Surely not. Robbing from its own people? Xinhua quotes economist Wu Jinglian as saying, in quite a few years in the past, Chinese authorities have earned profits of nearly $5 trillion in selling to property developers the land they expropriated from peasants. In the course of large-scale urbanisation, expropriation of rural land has given rise to lots of protests that have worried the Chinese Communist Party (CCP). The CCP regards corruption and social riots as threats to its rule. According to the law, officials may pay compensation as high as 30 times the value of the land, but in reality, they made exorbitant reductions from the payments, or even refused to make any payment for the land. They then sold the land at much higher prices to property developers. 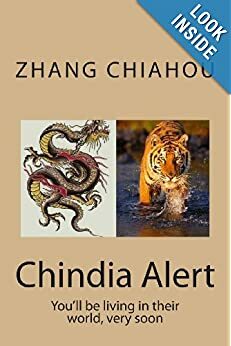 If the new Chinese leadership is serious about improving the lives of its citizens and removing reasons to distrust the Party, this is one area it should concentrate on rather than reducing banquets and other ostentatious spending by officials and senior soldiers. The former affects people directly, the latter only peripherally. Though eventually both must change. SCMP: “Land seizures, pollution and labour disputes have been the three main causes of tens of thousands of mass protests in recent years, according to a top think-tank. In its 2013 Social Development Blue Book, released on Tuesday, the Chinese Academy of Social Sciences said the mainland was experiencing frequent social conflict because “social contradictions were diverse and complex”. It said there had been more than 100,000 “mass incidents” – the central government’s term for large protests involving more than 100 people – every year in recent years. Professor Chen Guangjing, editor of this year’s book, said that disputes over land grabs accounted for about half of “mass incidents”, while pollution and labour disputes were responsible for 30 per cent. Other kinds of disputes accounted for the remaining 20 per cent. “Of the tens of thousands of incidents of rural unrest that occur each year in China, the vast majority of them result from land confiscations and home demolitions for development,” Chen told a news conference in Beijing yesterday. Late last year, about 1,000 villagers from Wukan, Guangdong, rioted and overthrew corrupt local leaders who had profited from illegal sales of village land. Chen said environmental concerns were also becoming a main cause of social unrest, as evidenced by a series of grass-roots demonstrations over polluting projects. More than 20,000 people rallied in Xiamen, Fujian province, in June 2007 to protest against plans to build a chemical plant in the city. The project was subsequently relocated and the Xiamen backdown sparked similar protests in several mainland cities. The major cause of labour disputes was salary arrears. There over 120 protests that involved more than 100 workers each in the first eight months of this year. Chen said courts and labour arbitration tribunals had dealt with 479,000 back-pay cases in the first nine months of this year. The book says 120 million mainlanders are living under the poverty line – with per capita annual disposable income of less than 2,300 yuan (HK$2,830). The government last year raised the poverty line from the previous level of 1,200 yuan, set in 2008.
via Land grabs are main cause of mainland protests, experts say | South China Morning Post. The new leadership is already taking steps to improve conditions for the rural population of China. That is assuming local authorities take heed of central edicts. Reuters: “China’s cabinet vowed on Wednesday to tighten laws on the expropriation of farmland, warning that the problem risked fuelling rural unrest and undermining the country’s food security. “Rural land has been expropriated too much and too fast as industrialization and urbanization accelerate,” state news agency Xinhua reported, summing up a meeting of the State Council. More reforms need to be put in place and a better legal system set up to resolve the problem, including stricter regulation on farmland expropriation, Xinhua said. The meeting passed a draft law amendment altering rules on how to compensate farmers whose “collectively owned” land is expropriated, the news agency said, without providing details. “The government must make efforts to beef up support for farmers and place rural development in a more important position,” it added. 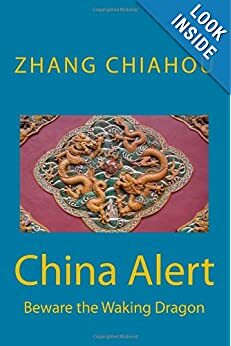 While the comments on land seizures do not break new policy ground, they do underscore government jitters about rural discontent as President Hu Jintao prepares to hand over the running of the country to his successor, Vice President Xi Jinping, named Communist Party head this month. Farmers in China do not directly own most of their fields. Instead, most rural land is owned collectively by a village, and farmers get leases that last for decades. In theory, the villagers can collectively decide whether to apply to sell off or develop land. In practice, however, state officials usually decide. And hoping to win investment, revenues and pay-offs, they often override the wishes of farmers. The number of “mass incidents” of unrest recorded by the e government grew from 8,700 in 1993 to about 90,000 in 2010, according to several government-backed studies. Some estimates are higher, and the government has not released official data for recent years. via China to tighten laws on land grabs in rural stability push | Reuters.